Anyone who reads this blog, my twitter or knows me in real life will know that I’m in my 4th and final year of university at the moment and also that I’ve just been accepted onto my PGCE in Primary Education (yay me!) I’m 22 now and while I know I’m not exactly decrepit and falling apart, I’ve decided it’s about time I stopped living like a student and so in June I’m planning on moving into my first real house, and assuming everything goes to plan and we don’t murder each other in the next few months, my boyfriend will be joining me in the move. I’ve always been a fan of fairy lights but my previous student houses haven’t allowed them or else the room’s been completely massive and they just wouldn’t have looked right. I really want to get some cute little ones to put on the wall behind my bed to just brighten the place up and make everything just a little bit more cosy! These ones are £22, super cute and delicate looking and exactly what I’m looking for. I am a candle hoarder, always have been and always will be. 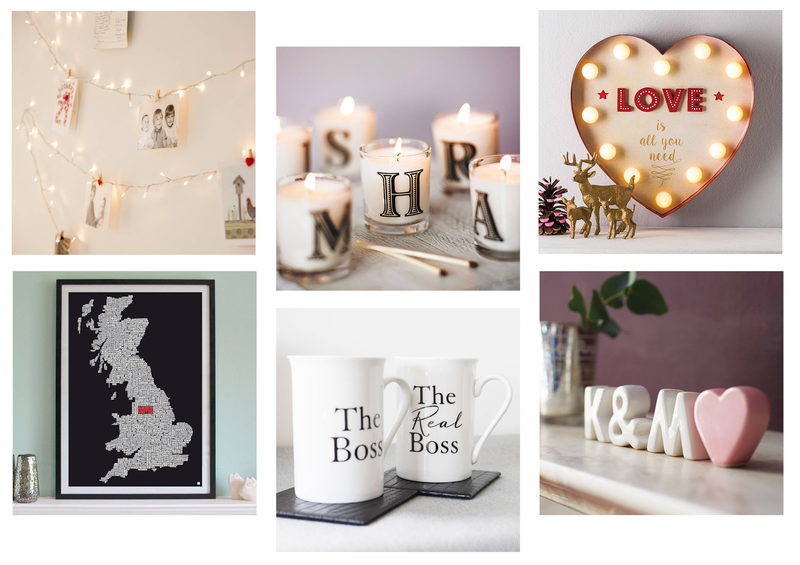 I LOVE personalised gifts (as you can probably tell already from this wishlist) and these personalised initial candles are adorable (and scented!!!) I was planning on buying one with my own initial and the OH’s initial as well because I’m a secret romantic (or else a saddo, you decide!) but knowing me I’ll probably start spelling words out before long. My boyfriend and I support different football teams and while they’re not actually rivals in any sense of the word, things do get a little bit heated on the very rare occasions where they actually play each other. I saw this print and fell in love with it immediately because it combines our love of football with adorable decoration and allows both of our teams to be coloured in. I just think it completely suits our personalities and this one is definitely something I’ll be buying as soon as I have the money spare. A little bit more pricey than the others but definitely a very personal gift. I think the next one is a little bit self-explanatory to be honest, because we all know who the real boss in a relationship is. My final item on my wishlist is soppy again – I think I’m going to just have to name this post accordingly, aren’t I!? You can choose which letters you have and the colour of the heart which I think is absolutely adorable. I think this is probably a little bit too much sop for me but I thought it was too cute not to include really! Where else should I be looking for houseware and cute little accessories for my new home? Let me know in the comments or else tweet me @holinwanderlust !